The SYMA X5C-1 is a Upgraded Version of the original SYMA X5C which lacked stability when flying outdoors. Known for being extremely durable and very easy to fly, The Syma X5C -1 is an excellent trainer drone that you can crash over and over again. 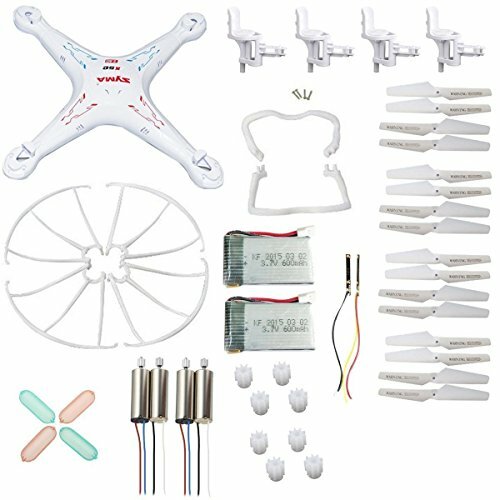 Considered a great buy, It will provide any beginner quadcopter pilot a ton of fun at a low price. This upgraded quadcopter offers better flight control and more power, providing excellent mobility for roll, pitch, and yaw. 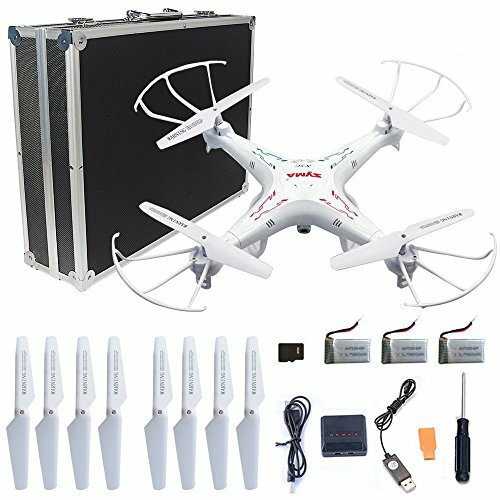 It is definitely not a professional video drone, but it is a great first quadcopter for a beginner that wants to learn how to fly before investing in a high-end expensive drone. 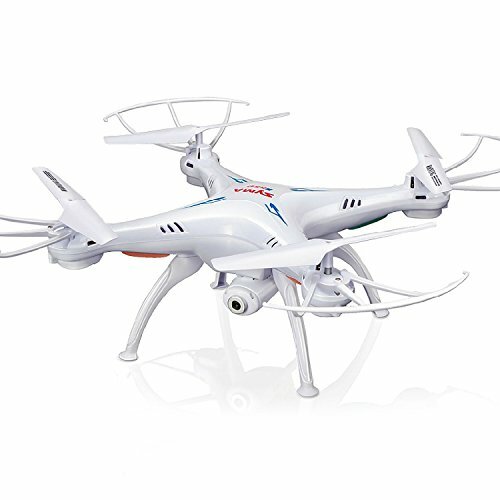 The best thing about the Syma X5C -1 RC Quadcopter is that it’s really easy to just pick up the remote control and start flying, Thanks to the 6-axis Gyro stabilization system that makes the quadcopter more stable and very easy to maneuver. It has 2 mode options, Use Mode 1 for learning and indoors, but don’t be afraid of Mode 2, makes it that much more fun and maneuverable when more agility is preferred . See the difference in the old version and the new Syma X5C -1 RC Quadcopter. 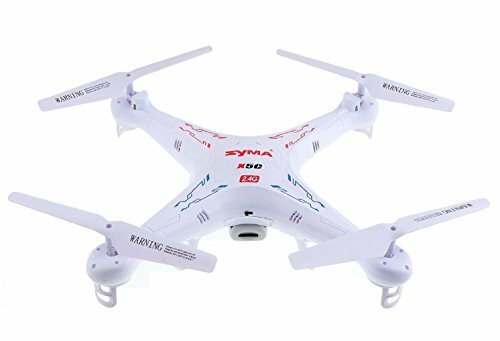 In general, the Syma X5C -1 RC Quadcopter is a fun, inexpensive quadcopter that offers both stable and maneuverable flight characteristics, along good range and durability for most beginners. The camera is a nice addition, but the quality is not that great, You can fly it without the camera just by snapping off the entire battery lid. Replacement parts are inexpensive and relatively easy to come by should you ever need them. NOTE: As you can see the box clearly states that it’s for ages 14 and up. However, I would honestly say that a 5 year old could fly this, so don’t rule it out as a gift for younger kids. Just keep in mind there are some small plastic parts so have an older kid or adult complete the assembly and supervise their first few flights.